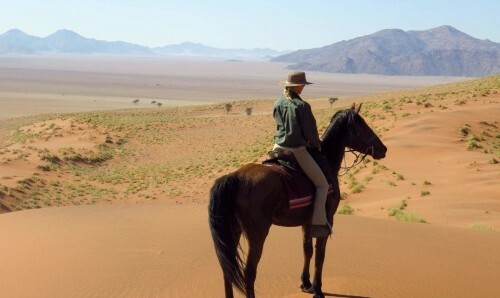 The Big Five Horse Safari offers exactly what it says on the tin. 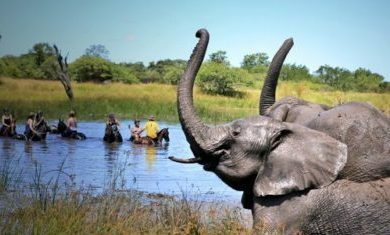 This riding holiday affords some spectacular game viewing from in the saddle; become part of a herd of grazing zebra, quietly creep up on a tower of giraffe or tentatively approach and take in the magnificent size of an African elephant. Riding through some of Africa’s most breathtaking landscapes, fall in love with travelling in the style of Africa’s first pioneers, and enjoy wildlife without the sounds of an engine. Set to the backdrop of the stunning Drakensberg escarpment, this ride operates across 35000ha of greatly varying terrain. Traverse river gullies, climb dramatic rock formations for panoramic vistas, weave in and out of bush scrub and race along bush paths. Fantastic accommodation at base camp, 2 stunning nights at luxurious lodge, complete with infinity pool overlooking a water hole and one night sleeping out with alfresco dining under the unrivalled African stars. Magical sunsets and of course, superb riding, makes this a riding holiday you will never forget. 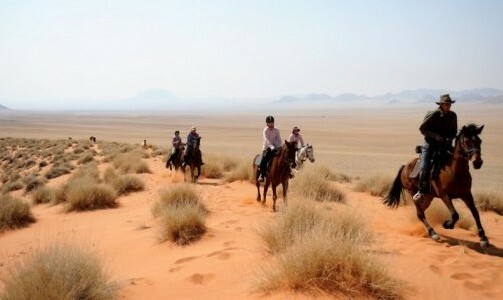 This horseback safari promises exciting and thrilling riding in Big Five areas, and is therefore only suitable for advanced and fit riders. There is an 8 day and a 6 day versions of this ride. The 6 day version misses out days 5 and 6 from the intinerary. 8500ha, this stunning reserve is rich in diverse ecosystems and wildlife; ranging from open plains, woodlands, hills, dramatic rock formations and shady gullies. The rivers which run through the reserve provide a lifeline for a huge variety of flora and fauna. The region is the home to wildlife such as elephant, rhino, lion, leopard, buffalo, cheetah, wild dog, hyena, giraffe, zebra, blue wildebeest, hippo, crocodile, bushbuck, kudu, nyala, waterbuck, impala, warthog and many different species of birds. 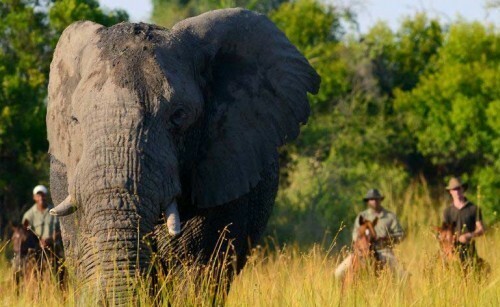 Watching Africa’s most magnificent beasts from the back of a horse, in some of Africa’s most iconic landscapes, is an unparalleled and unforgettable experience. This equally impressive and neighbouring reserve covers a vast 25000ha, one of the biggest untouched and private areas in South Africa. With only two lodges operating in the whole reserve, the game viewing is both exclusive and exceptional, including the Big Five and many more. Day 1: You will be met from Hoedspruit Airport (pick up from Johannesburg O.R Tambo can be arranged – 5 hour transfer time) and transferred to you first lodge. You will be welcomed with sandwiches and afternoon tea or coffee by Philip and Gerti – your Big Five Safari leaders. Once settled, Gerti will take you through a safety briefing and run through your next 8 days. Once briefed, mount up and head out for your first ride to get to know your horse, explore the area surrounding camp and unwind from your journey. As you absorb the peace of the African bush, you might even have your first game sightings such as giraffe or zebra. Enjoy your first sundowner of the holiday whilst you look out across the landscape and the distant Drakensberg Mountains, before sitting down to a scrumptious 3 course dinner, accompanied by hand-picked South African wines. Settle down in your accommodation for the next 3 nights; an old style safari tent with en suite bathrooms, mounted on a platform above the Makhutswe River at the Wait A Little main camp. Day 2: Wake up on your first glorious African morning to the sound of someone bringing you a hot tea or coffee to your tent. Timings vary as to the time of year but you will usually be in the saddle 3-4 hours in the morning and roughly 2 hours in the afternoon. Your first thrilling morning ride complete, return for a well-earned lunch of homemade quiches, pizzas or pancakes, freshly homemade bread, different types of salads and greens, meats and cheeses. Beautifully satisfied, find a shady spot for a siesta, relax by the pool or read in the small library. Refuel with afternoon tea and coffee before setting out for your next adventure. 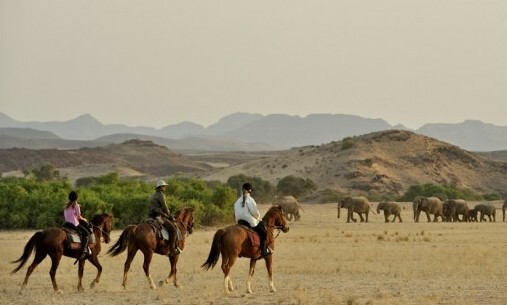 Ride to a wonderful sundowner spot, where you will raise your glass to a glorious African sunset. Return once more to camp for dinner. Day 3: Jumping out of bed, eager for the days adventures, ride out for another fantastic morning ride exploring the African bush. Return for yet another delicious lunch, and perhaps even a massage (! ), before swapping saddle for vehicle in the afternoon and driving out to the local buffalo project. Follow the Makuthswe River in search of these magnificent beasts and stop for sundowners along the way. Once the sun has sunk, enjoy an exciting night game drive back to camp, keeping your eyes peeled for those animals harder to see by day. Day 4: Wake to the dawn chorus and a steaming cup of tea, enjoy camp breakfast and another wonderful morning ride. Return once more, for what will now be a greatly anticipated, homemade lunch. After a siesta, you will pack your bags, which will be transferred by vehicle to the next destination whilst you set out on horseback. As you head south, you will pass the twin rock formations of Lion and Leopard Hill keeping keen eyes peeled for any movement! 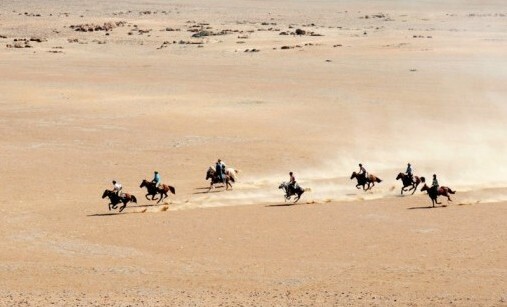 Follow the long sandy roads which invites for some faster riding and long canters, sometimes accompanied by giraffe, zebra or wildebeest who want to join in the fun. Tonight, your fly camp is set high on Beacon Rock – a dramatic rock formation which boasts spectacular views of the Lowveld escarpment. Scramble to the top and enjoy the 360 vista over the whole reserve, whilst the sinking sun sets the sky alight with colours and dips behind the Drakensberg Escarpment. Spend a night to remember around the campfire, surrounded by your horses and listening to the night calls of the hyena or jackals, as you sit under the stars. Delicious steak or chops will be cooked in true African style, over the open fire, giving it that wonderful braai flavour. Day 5: Stepping out of your tent as the sunrise lights the sky, the fire will be revived and you will have steaming coffee or tea to accompany your bush breakfast. 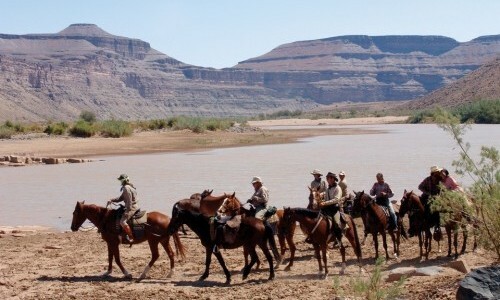 Once satisfied, set out for the longest ride of the trip, entering the Makalali Private Game Reserve which is dominated by vast plains calling out to be cantered across – sometimes accompanied by game! As you feast your eyes on these large chunks of Africa, make your way to XiDulu camp, where you will spend your next two nights. XiDulu is nestled on the edge of a picturesque dam which is home to a resident pod of hippos. The lake-side deck and the viewing platform are great places to relax and watch game. Although if you are feeling particularly indulgent then why not game view whilst wallowing in the infinity pool. That afternoon set off for a game drive with Philip, who is a fountain of knowledge about the bush and wildlife, and who will help track any signs left by big cats that day. Stop for a G&T at sunset, before the drive continues into the night and hopefully some of the nocturnal wildlife shows its face – such as bushbabies, owls, maybe even a leopard! Dinner will be served at the water’s edge, in the glow of the fire place, and under those spectacular stars. 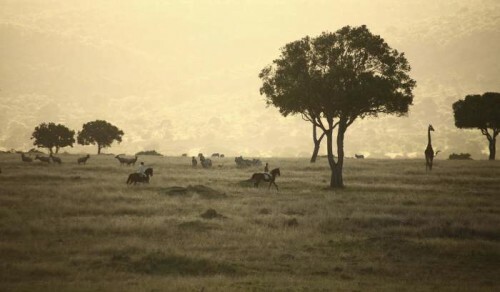 Day 6: This morning experience what Philip calls ‘bushwhacking’; cutting through the veldt at a canter, twisting and turning around the trees and marveling as your surefooted horse carries you nimbly through the undergrowth, here and there an elephant felled tree proving too irresistible to jump. 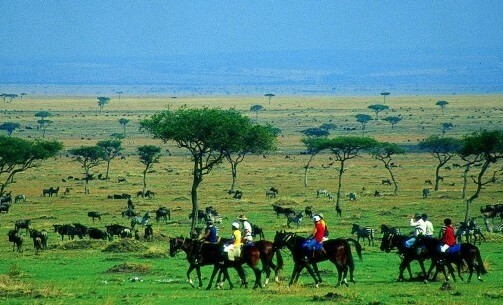 Catch your breath at the top of the hill and absorb the miles and miles of unspoiled Africa that stretch out before you. The afternoon can be passed as you wish; another of Phil’s brilliant game drives or another ride in that wonderful afternoon light. Day 7: After a light breakfast you will head back to the Wait A Little camp from day 1. Along the way, keep your now well trained eyes, peeled for elephant, lion, rhino, giraffe and anything else you might come across. Over lunch reminisce about stories from the week, and that evening, enjoy a final sundowner out on the open plains. For your last night’s supper Gerti never disappoints; choosing something scrumptious and special, such as game fillets like kudu or eland served on pasta with a sherry sauce. Day 8: Mount up for one final and thrilling ride, often picking up the pace to cover some ground before returning. After bidding a sad farewell to your trusted steed, indulge in one final delicious breakfast, before the transfer service whisks you away to the Airport. Open All Year Round. Runs Saturday to Saturday. Enquire to check availability. Laundry service at Wait A Little camp and VAT. Special wines, champagne and spirits. Tents 1 and 2, which are built on platforms overlooking the Makuthswe River both have king size double beds (and an optional single bed), an outside thatched bathroom with shower, bath, toilet and washbasin. Tent 3 is the bigger tent, with two double beds, a sitting area and a huge platform overlooking the River. This room is ideal for single travelers sharing or honeymoon couples. The bathroom is also thatched with an outside shower, bath and basin. The private toilet also has a wash basin. The Rondavel overlooks the horse paddocks and is ideal for single travellers who do not wish to share or pay single supplement. The room has a queen size bed and its own bathroom with a shower, toilet and washbasin. There is a pool, bar and library for relaxing at after an exciting day in the saddle. 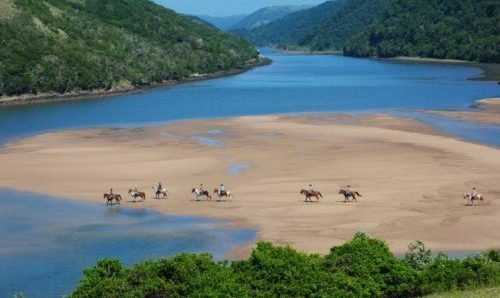 XiDulu camp nestled in the heart of the Greater Makalali Game Reserve, an area reserved exclusively for riding in, has 5 rooms, a main area, an infinity pool. The camp boasts a peaceful viewing platform overlooking a big dam which is home to a large pod of hippos. MANGWA (means Zebra) is the biggest room, with a super king size bed, a dressing room, bathroom, inside and outside shower, bath overlooking the dam, a fireplace and air-conditioning. NHONGO (Kudu), NYALA (Nyala) and HONGONYI (Wildebeest) are three rooms which have king size beds (one room can be turned into a twin room). They all have inside and outside showers, baths, a viewing deck, air-conditioning and dressing areas. MAHLA (Impala), set near the main area, has the best view over the dam. It has got a queen size bed, an inside and outside shower, a viewing deck, air-conditioning and dressing area. This would be used as a single room option for no supplement. Beacon Rock marks the highest point on the reserve and is where you will spend a night ‘sleeping out’. The old hunting camp has spectacular views and breathtaking sunsets. This is true Africa at its best; spend a night sleeping under the stars and having a real Braai (the Afrikaans word for barbecue). A delicious dinner will be cooked over the open fire, excellent wine will be drunk, and a memorable night will be had round the campfire.